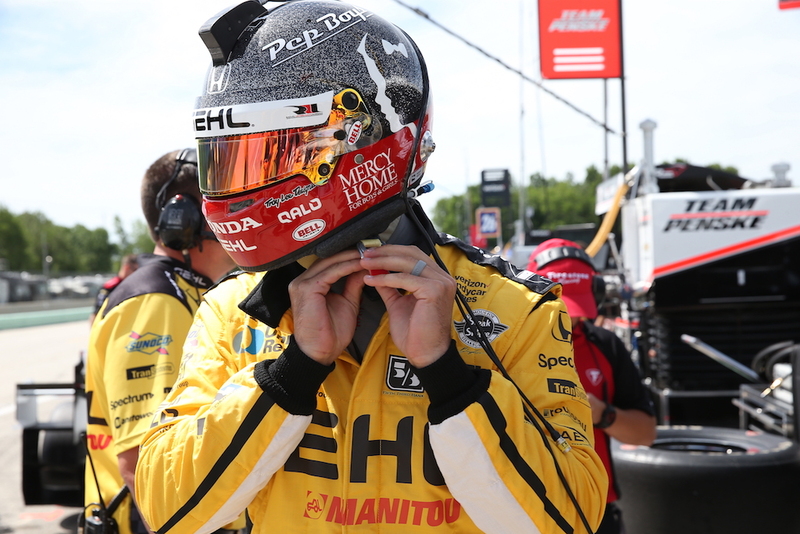 As part of an IndyCar Series and Indy 500 experience package, Bobby and Johanna Rahal donated the opportunity to design Graham Rahal’s racing helmet for the KOHLER Grand Prix at Road America in June 2017, a project that raised over $50,000 for Mercy Home. 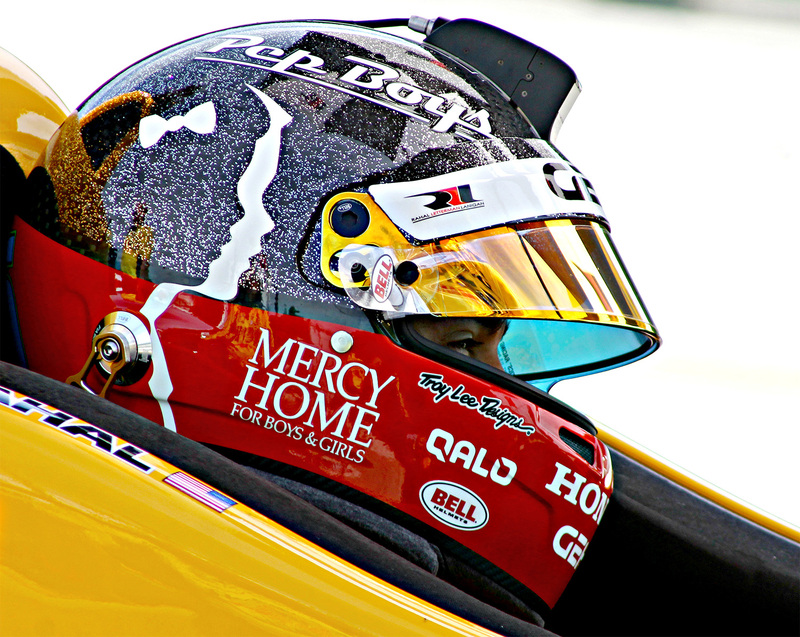 Rahal Letterman Lanigan Racing Team partners with BOOM Designs to raise awareness for Mercy Home for Boys & Girls. Helping over 30,000 kids since 1887, Mercy Home strives to break the cycle of neglect and abuse for troubled children in Chicago. Having a local office in Chicago, BOOM Designs jumped at the opportunity to design the graphics for Graham Rahal’s race helmet for the KOHLER Grand Prix at Road America. Under the direction of Ross Bartels, BOOM Designs wanted to illustrate Mercy Home’s impact on the community through one form: art education. Partnering with Mercy Home, BOOM Designs selected a painting from one of the children at Mercy Home to integrate into the background of Graham’s number 15. Framing the artwork on the rear of the helmet are the silhouettes from Mercy Home’s logo, along with the Mercy Home logo prominently on the side jaws of the helmet. Creating a prominent statement for Mercy Home through strategic placement of the youth’s artwork and Mercy Home logos and silhouettes. Mercy Home’s presence on the helmet is visible at any angle. Utilizing a color palette that enhances both Mercy Home’s Ringside event and Graham Rahal’s brand. Adding slogans and catchphrases that communicate the much-needed attention and support for breaking the cycle of neglect and abuse to Chicago children and teens. The project raised more than $50,000 for Mercy Home for Boys & Girls. BOOM Designs is a strategic global design firm specializing in solving complex problems with innovative design solutions while building creative cultures and processes facilitating innovations and business opportunities. Boom Designs transforms concepts into realities.